This photo remains at the #1 Position, but #2 is coming up quickly from behind and may surpass it this year! Could it be that InuYasha is finally losing popularity four years after the end of its run from 1996-2008?! I have to say my photo has had a nice run on his list. I can’t believe I’ve gotten over 12,000 views. I didn’t realize that photo was so popular. 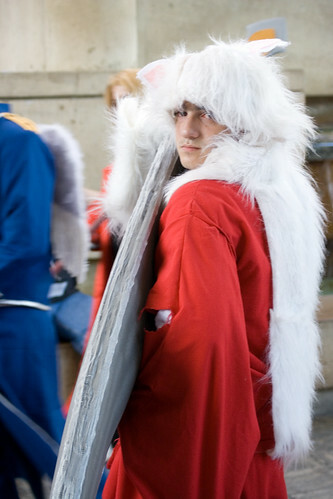 Makes me want to get my InuYasha cosplay fixed up. The fiber glass in the sword is broken so I need to fix it. This awesome. Yeah, it’s neat that it’s been so popular. I don’t even think Inu Yasha is on the air in the US anymore.